Head west young man head west! Lol I decided to venture out west of Bismarck yesterday in search of walleyes and perch. I picked Danzig Dam as my destination of choice. Stocking reports look good and it’s a lake I spent lots of time on as a youngster. Sweetbriar, Crown Butte, Fish Creek and Danzig were all high school destinations for me. I had also been given some decent reports from this little lake so off I went. The lake was smaller than I remembered it. Amazing how things as you get older tend to change like that. I picked an area near the dam to start in a deeper pocket. Fish were present right away! 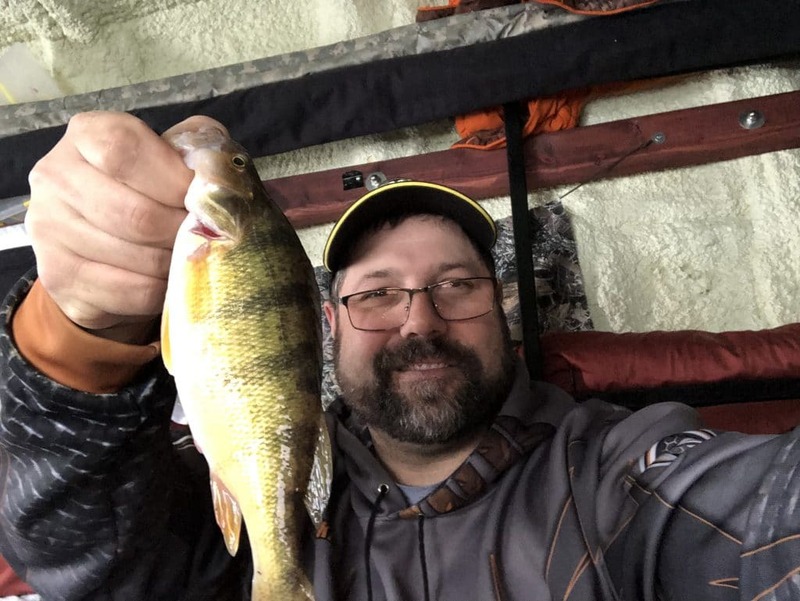 Nothing huge but action with a mix of perch and walleyes. I decided that wasn’t good enough for me, so I began moving around looking for a better bite. The old saying goes, never leave fish to find fish, but today I was in scout mode for some upcoming guide trips I have. I didn’t have a great day after I moved off my first spot. Of course I decided to go back to where I began. I was running out of time but managed a few more walleyes and perch. Nothing huge but probably could have had a good little meal. The water or the lake isn’t very deep at all. The deepest I could personally find was 8 foot but my reports were fish being caught in 10 feet of water but also up along the shore and the island in 5 foot.